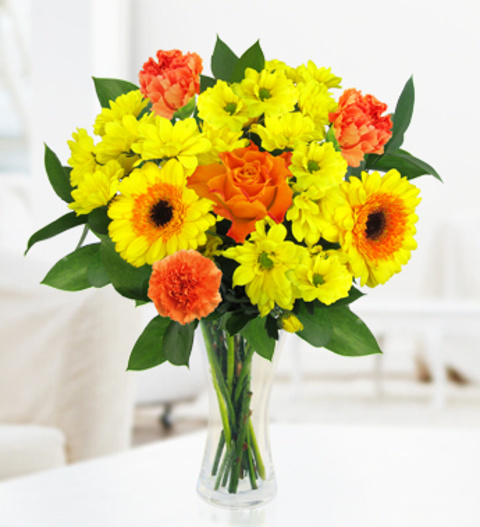 Flair is a radiant and bright arrangement delightful gerberas, fresh chrysanthemums, carnations framed with forest fresh greens. Flair is skilfully arranged by our talented British florists. The bouquet is hand delivered to your recipient and is perfect for all occasion. Order our Flair bouquet for delivery today! Order by 3pm for same day delivery.